We’re still flip-flopping from sunny and 70s to 20s and wet. 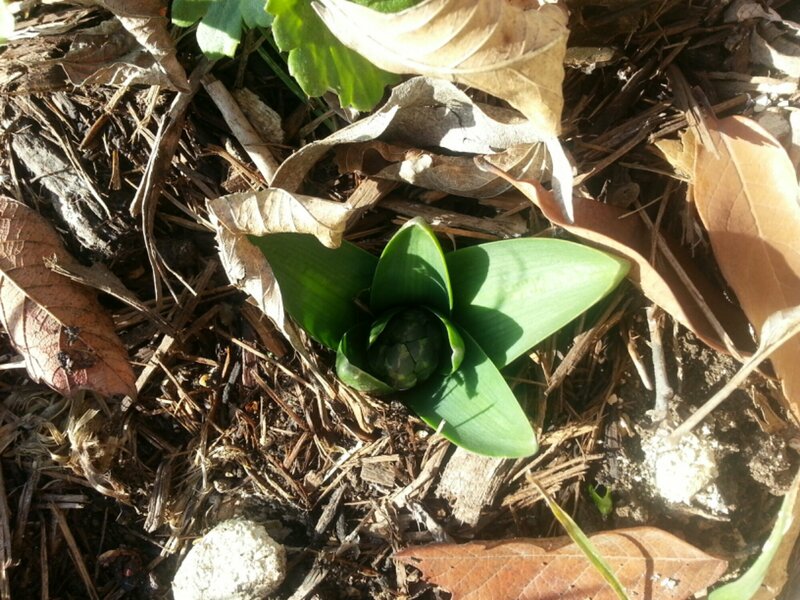 Not the best for the plants, but these bulbs don’t seem to mind. I can relate! Tonight we are to have snow again:-) I had my cole crop + spring flowers out yesterday hardening off:-) crazy weather! Yeah! What is the bulb? A flower? Leek? Hyacinth. Or as I call them: turtle mouths.